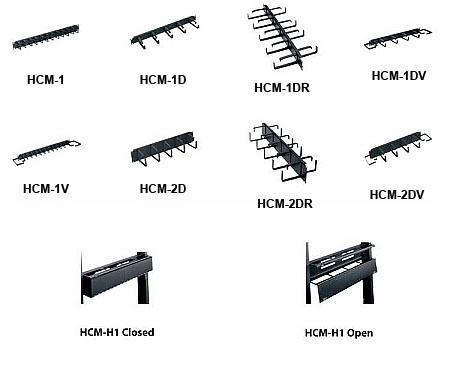 Maintain your network and patch cable organization with Horizontal Cable Managers from Middle Atlantic. Cable management has never been easier! Available in 19" and 23" wide formats, these cable managers grant your patch cords strain relief and help maintain their required bend radius. Depending on which model you choose, it's possible to hold up to 240 CAT5e cables! 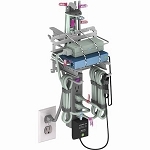 Each Horizontal Cable Manager is constructed of 16-gauge steel and can be individually customized with our available D-Rings made of 11-gauge steel. 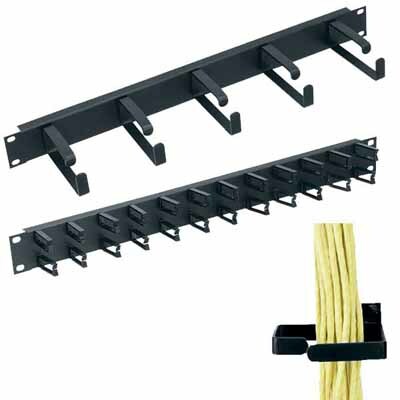 Simply fasten them to whichever rack or wall mount model seen here for your own personal wire management solution. For the latest in sleek cable management, choose a Middle Atlantic Horizontal Cable Manager! *Click the thumbnail below the main image to match your items part number to its picture.